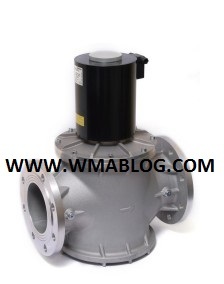 The VMR type valve is a fast opening solenoid valve that is normally closed.When the coil is not energized the spring works on the disc keeping the gas passage closed. When the coil is powered the valve opens. When power is switched off the valve rapidly shuts.